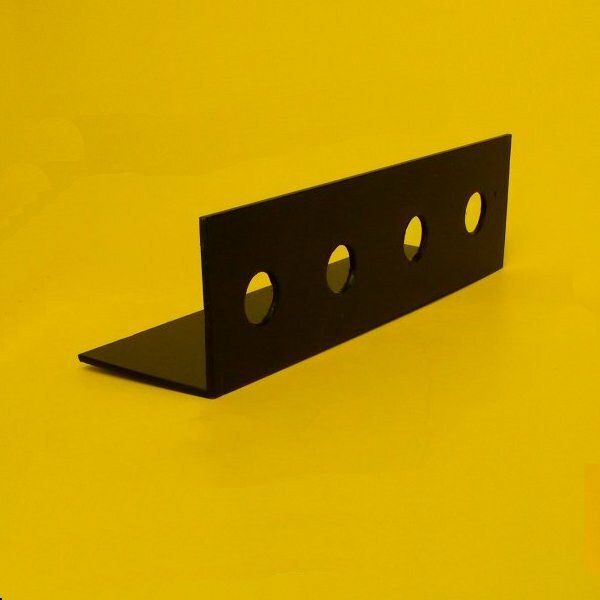 Made-to-length bulkhead mounting rail. Locate all of your grease fitting in one convenient location. Aluminum rail for mounting bulkhead fittings. 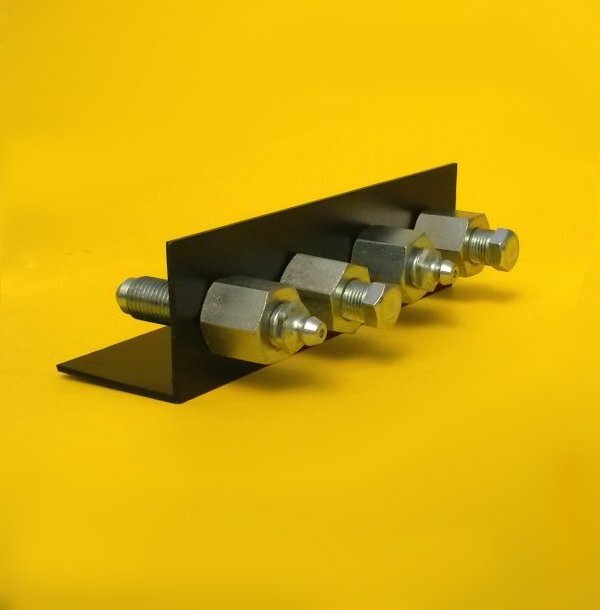 Locate all grease fittings at one location with this custom-length bulkhead mounting rail. Made to your specifications with up to 12 bulkhead mounting locations per rail. If you need more than 12 bulkhead fittings, order two rails to total the number of fittings needed. Two 1/4″ holes in the lower flange are included for mounting to your equipment with bolts or screws. 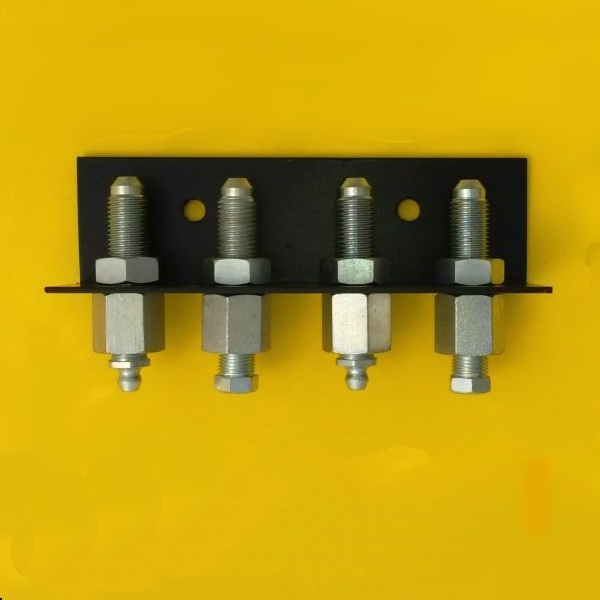 The bulkhead fittings shown in the photos are not included with this item.